These staples are made for the small and ergonomic Max Light Effort Compact Flat Clinch Stapler line. Each stick holds 50 staples, with 1,000 to a box. 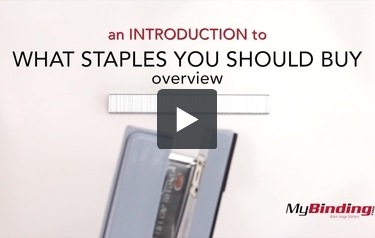 These heavy duty 1/4" staples will hold up to 25 sheets of paper. So secure your next big stapling project with Max.